I don’t know about you, but it’s not often I get to watch a movie made in New Zealand. I mean, sure, there is The Lord of the Rings and stuff, but they are not movies about New Zealand; Hunt for the Wilderpeople is not only a New Zealand made movie, it is a movie about New Zealand. Its way of life, its culture, its land. Hunt for the Wilderpeople tells a story about Ricky, a boy rejected by his mother, as he is brought into the care of the last foster family on his path prior to lockup at a juvenile centre. There, in the middle of nowhere but right next to the New Zealand bush, he is put under the care of Bella and Hector (the oh so excellent Sam Neill), the latter of which is rather reluctant. Ricky tries to escape rather awkwardly, but Bella is too good for him and quickly enough he’s a happy boy at his new home (where, oddly enough, he never seems to need to go to school). But then Bella dies, and Hector receives a letter informing him Ricky will be picked up by the authorities within a week. Ricky decides to escape into the bush rather than go to juvie; Hector follows him, if only because Ricky cannot survive there. Through one accident and another, Hector hurts himself and the two find themselves stuck in the bush for weeks on end. During which the authorities think Hector has kidnapped Ricky, ensuing a manhunt. Thus we have ourselves a Thelma & Louise story about two unlikely partners escaping the authorities. But it is a New Zealand story, so there are fewer tragic motifs and more lighthearted ones, often outright hilarious. 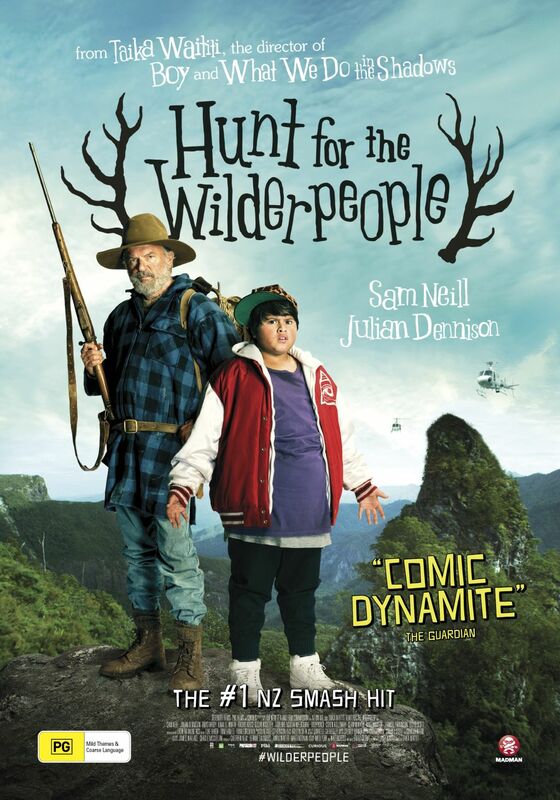 That said, I would not classify Hunt for the Wilderpeople as a kids film due to the abundance of serious/heavy themes. Best scene: A government agent arrests someone and reads them their Miranda rights. A policeman comes in to correct her, informing her that this is not the USA and in New Zealand you don’t recite this stuff to people. It is as if he was saying, “In New Zealand we treat people, even criminals, like human beings”. Overall: Light hearted, funny and full of heart, Hunt for the Wilderpeople is well worth watching at 3.5 out of 5 crabs.